From today, you'll find you now have a little more flexibility when it comes to organising your material expense categories. Previously, only the one category (SUPPLIES) was available for associating with material purchases. You can now create as many categories as you wish to categorise your Material expenses - this can be really useful if you need to track different sets of material purchases for tax reporting, such as Supplies and Materials for your Schedule C.
To reconfigure your categories, head over to your categories list page. 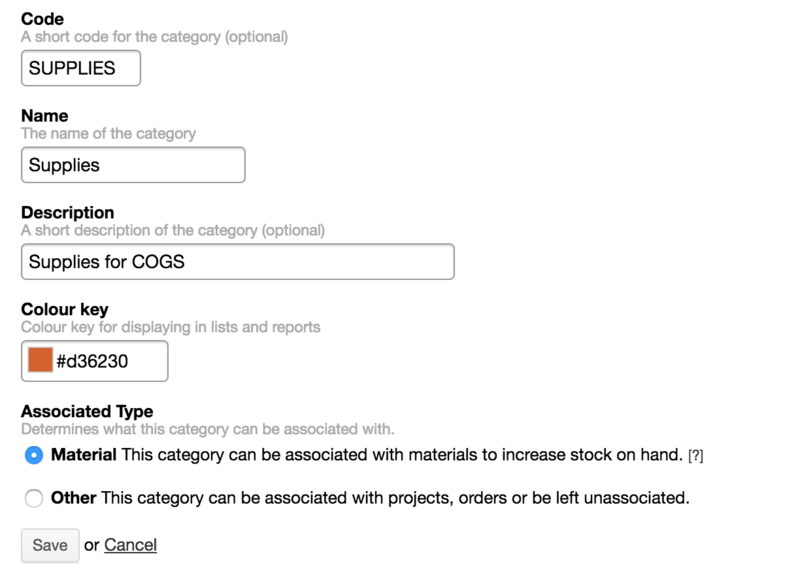 You'll now find an extra option on your edit form that will allow you to specify if the category is for material stock management. We've also removed some of the annoying restrictions around the locked categories: you can now completely rename your SUPPLIES category if you wish to something that better represents the way you wish to track this expense.